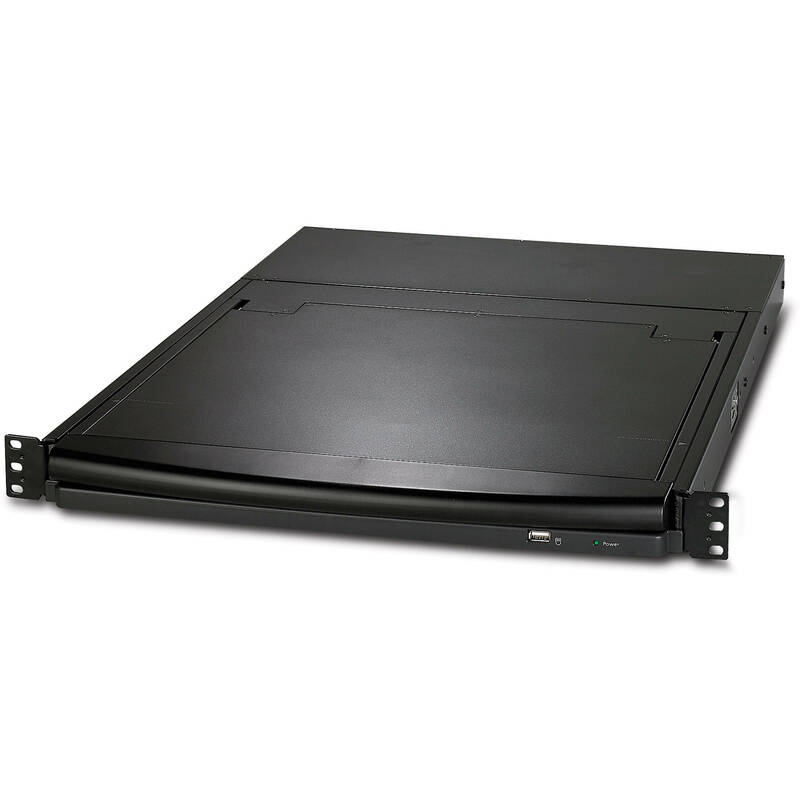 The black 17" Rack LCD Console with Integrated 16-Port Analog KVM Switch from APC combines the functionality of a Rack LCD Console and Analog KVM switches in one convenient package, optimizing U space in the rack environment and eliminating cable clutter. The switch offers a value of two product's functionality in a single package. Please see the user manual for specific cascading capabilities. Compatible with Windows, Sun, UNIX and Linux platforms. Saves power by automatically powering down the device when it is closed. Connects to a server or KVM switch via standard PS/2 connectors. Emits less heat than comparable CRT monitors. Quickly and easily install in square, round and threaded hole racks. Adjust the on-screen image, including auto adjust, exit, power on/off, brightness, menu and a power indicator. Box Dimensions (LxWxH) 32.75 x 26.5 x 5.3"
17" Rack LCD Console with Integrated 16-Port Analog KVM Switch (Black) is rated 5.0 out of 5 by 1. Rated 5 out of 5 by RichD from The best ones for our customer installs We've been using these for most of our customer installs because the KVM features work better than most other manufacturer products and the value is there when integrating these in with APC racks and accessories. They're out go-to!